Earn $8.92 in VIP credit (892 points)What's This? 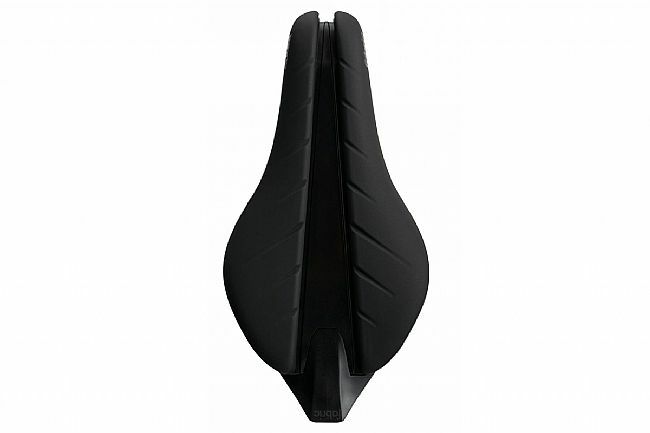 The Fabric Tri Race Saddle with titanium rails has a short, time-trial specific shape with a pressure-relieving center channel for a performance saddle that goes the distance. A flat profile makes for the most aerodynamic shape possible, and a blunt nose lets the rider to sit farther forward on the bike. 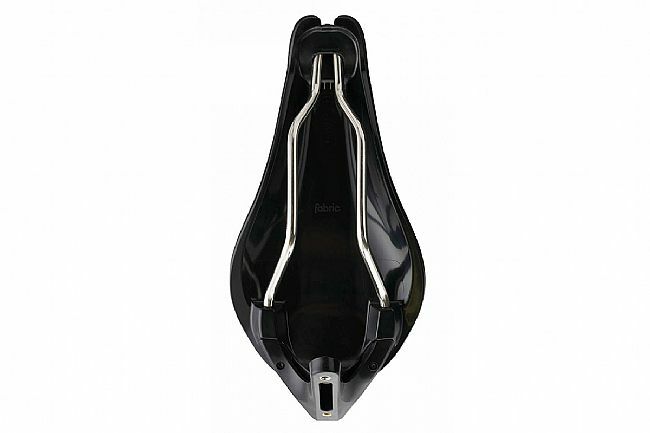 Out back, an integrated bike-hanger plus clip-on bottle cage mount make the Tri Race saddle a sleek addition to any TT bike. 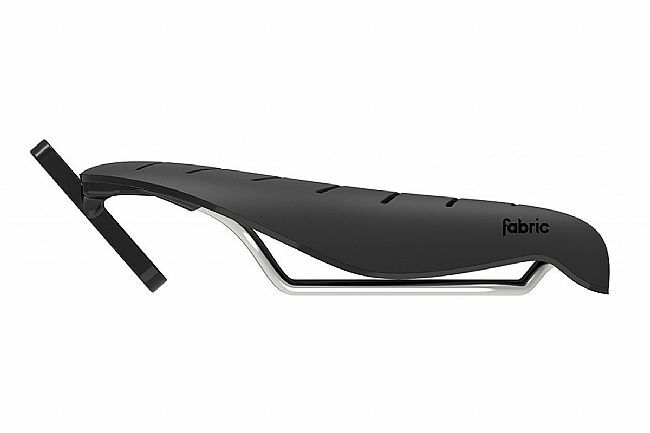 Underneath, it features hollow titanium rails that keep the weight low, and a nylon base provides excellent durability while still flexing in sync with the rider in the motion. 134 mm wide x 270 mm long. Claimed weight is 232 g.